Objection three out of six raised by anonymous is that Mormons can't be Christian because we believe that Christ visited America as a resurrected being. That argument is weak. If anything, it proves that we are greater followers of Christ because we have an additional witness of His gospel. Perhaps his objection really was that we have additional scripture and thus modern revelation. This is one of my favorite objections to discuss because it proves one of the most important claims of the Restoration. In fact, almost any objection to our message can be summarized as a reluctance to accept modern revelation. Having been exposed to the idea all my life I have never understood why it is so difficult to understand. The Book of Mormon is the best evidence of Joseph's prophetic calling. "...the Latter-day Saints have no creed, but are ready to believe all true principles that exist, as they are made manifest from time to time." (The Journal of Joseph: The Personal Diary of a Modern Prophet, p. 203) Isn't that a great quote? We have the Articles of Faith, but we do not have limiting creeds. It is those creeds of other churches that keep their members in the dark. We are followers of Jesus Christ. The Book of Mormon is another witness of Jesus Christ. We can come closer to Him by reading it than by any other book. The Bible has gone through many translations that introduced errors. 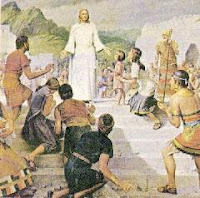 The Book of Mormon had one translator - Joseph Smith. He was and is a prophet of God and the Book of Mormon proves it. Why can't I attend a Mormon wedding? On what are you an authority? Just where exactly are the lost ten tribes?